So far this year, just 5% of US LNG exports have arrived in Europe, with two cargoes received by the UK, one into Portugal, one to the Netherlands and two to Turkey. Global market supply has been tighter than expected, primarily due to high demand from Asia, as well as strong US deliveries to markets closer to the Americas. 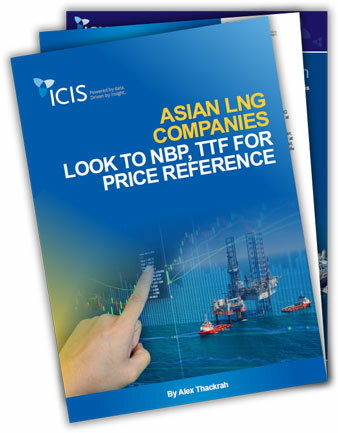 This market insight by ICIS deputy editor of LNG Europe, Alex Thackrah, discusses why Asian companies are looking to the Dutch TTF and the UK’s NBP for cargoes with flexible destinations.